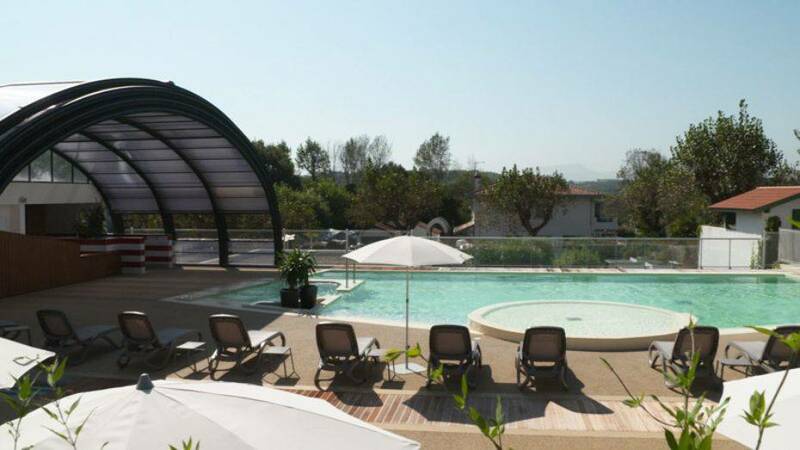 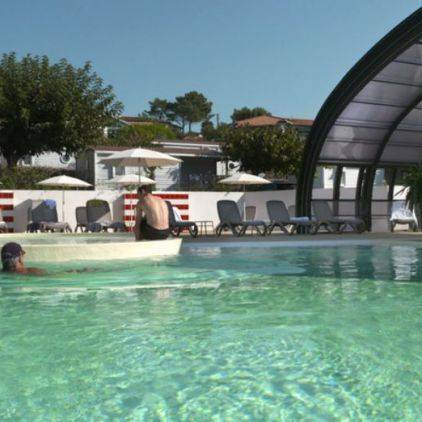 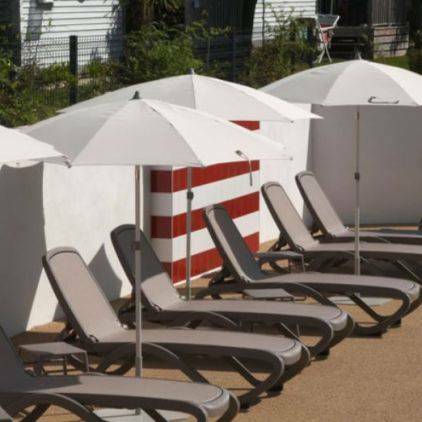 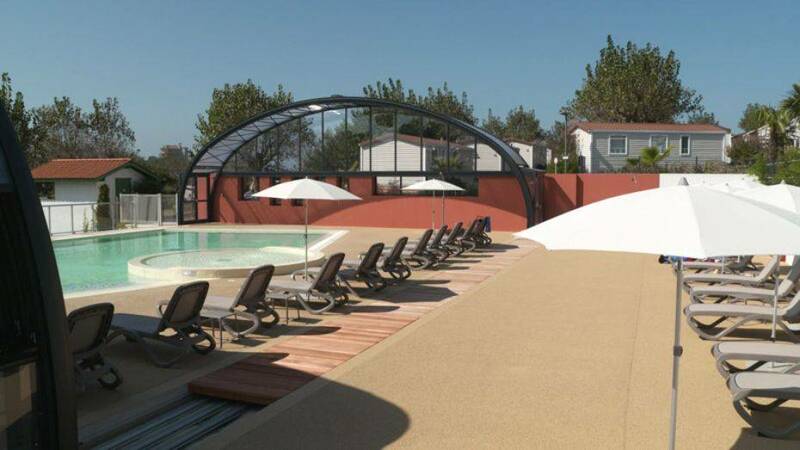 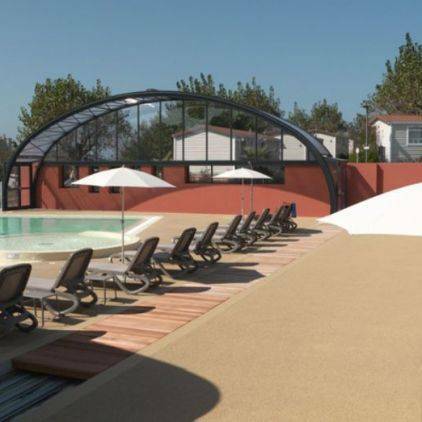 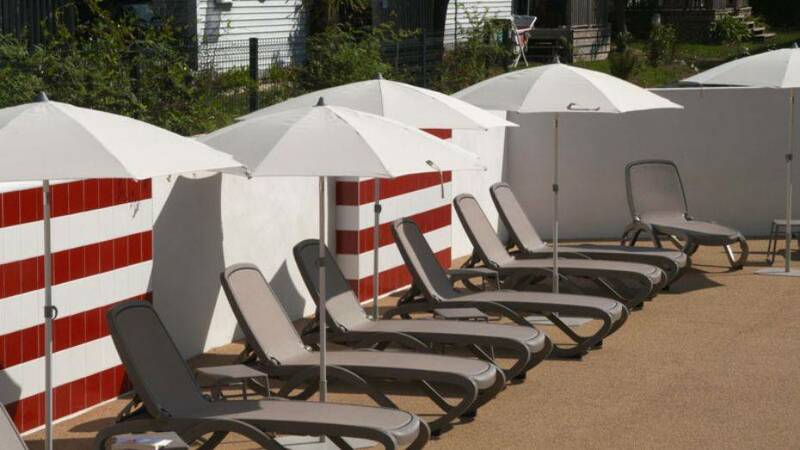 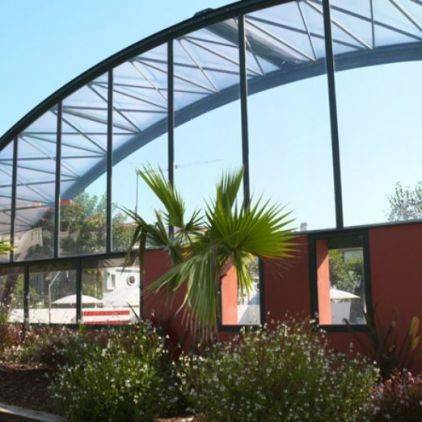 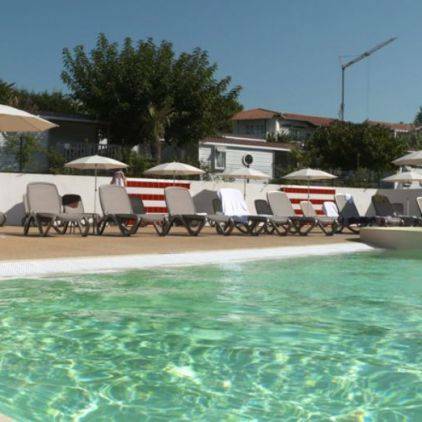 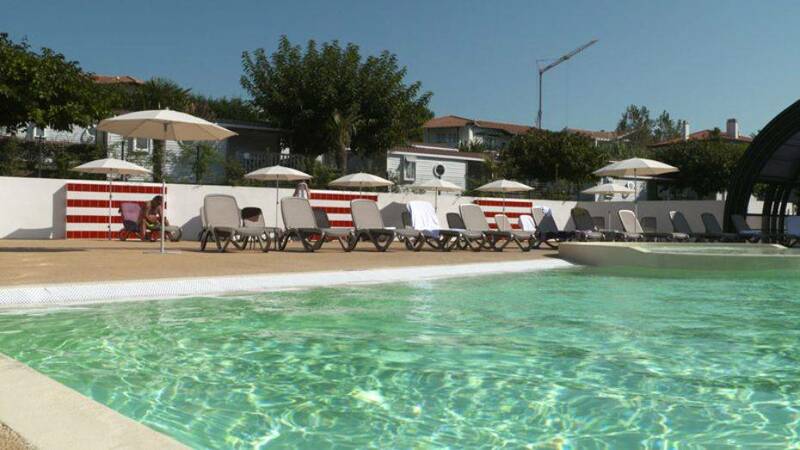 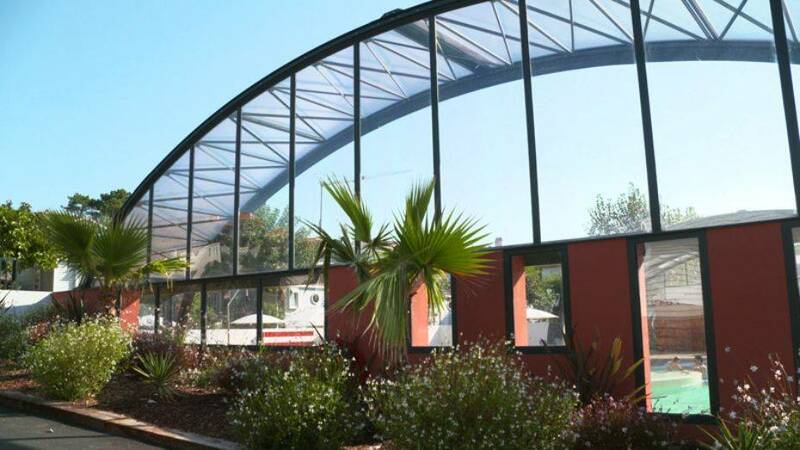 The Biarritz Camping swimming pool got a brand-new look in 2018! 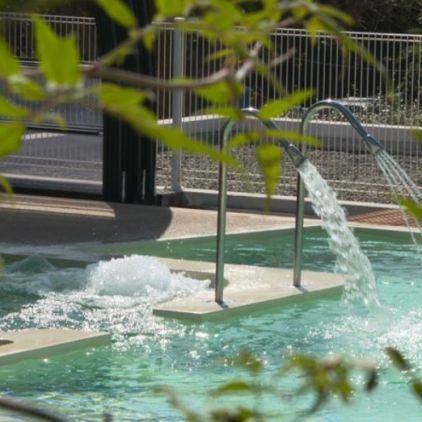 With a pool heated to 28°C from 1 April to 30 September, you can enjoy the open-air area on warm summer days or an indoor, cosy and comfortable space for cooler days earlier and later in the season. 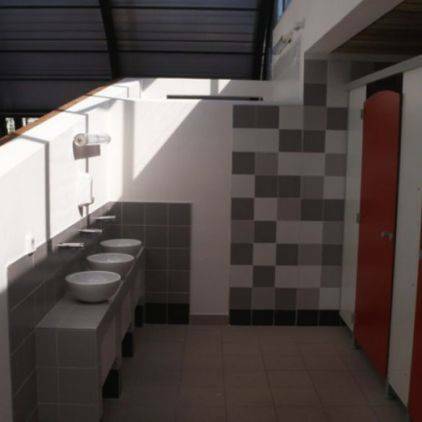 And to keep toddlers happy? 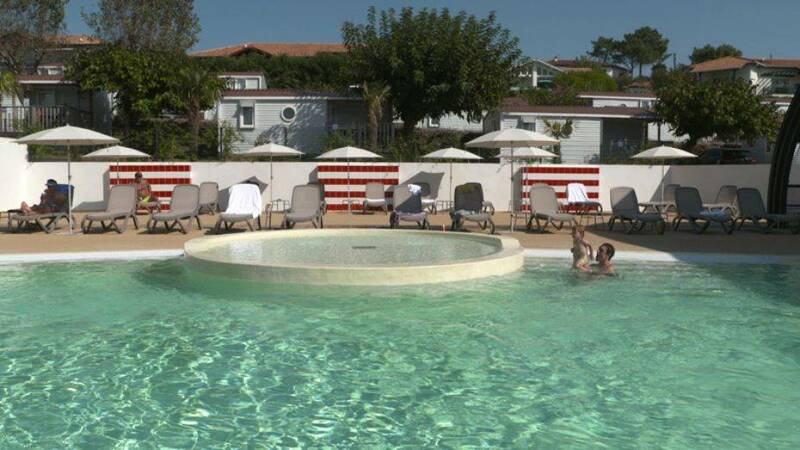 Our paddling pool! 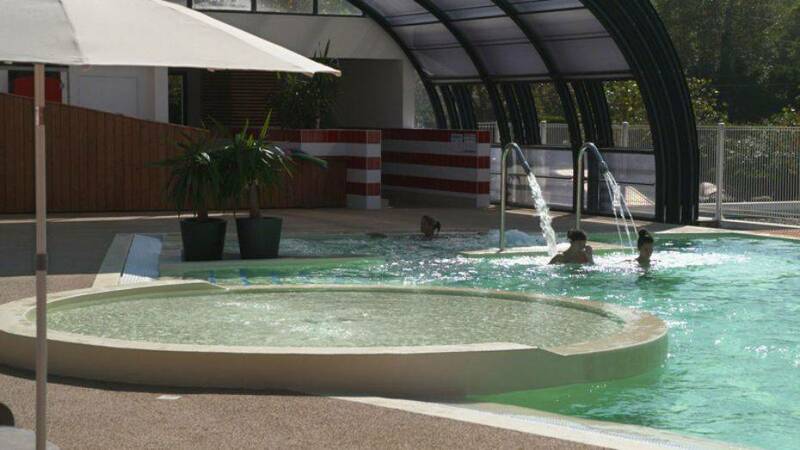 - a spot of exercise with water-aerobics lessons in July and August, or just a quick swim in the pool. 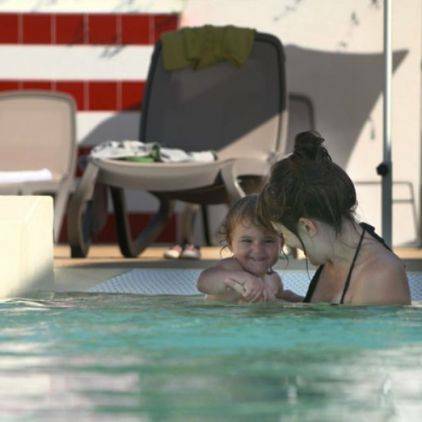 And why not make the most of your stay to take some swimming lessons with an instructor (extra charge)? 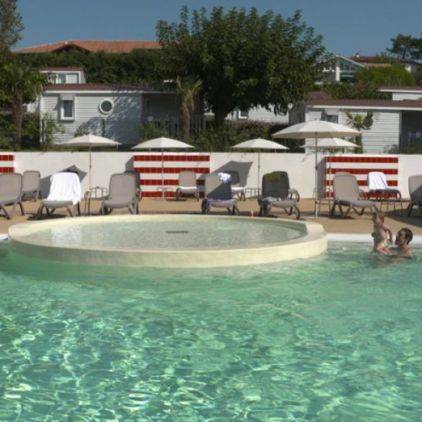 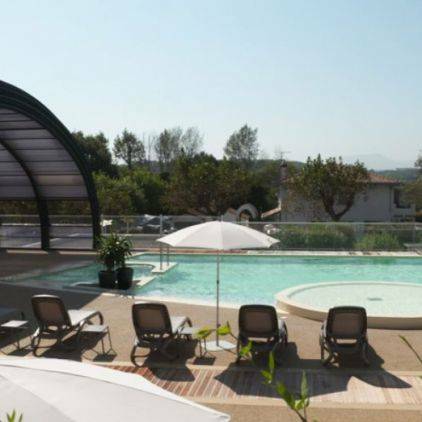 - take it easy beside the pool, with beach areas equipped with deck-chairs and parasols. 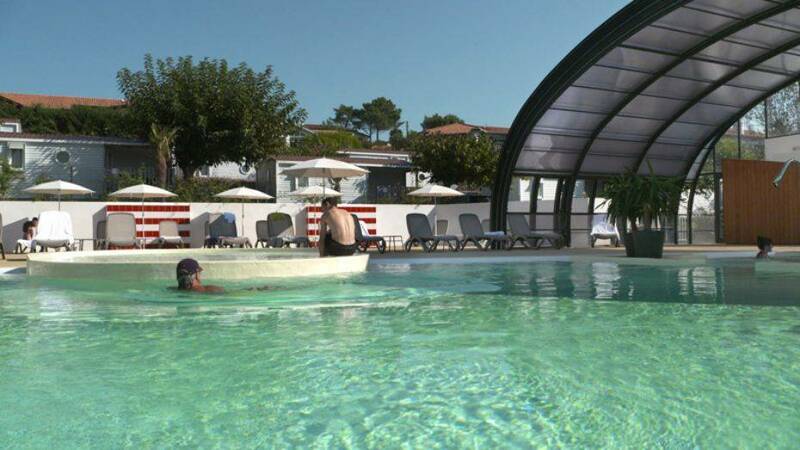 The swimming pool is supervised in summer by a lifeguard, but guests are responsible for their own safety and children remain under their parents' full responsibility at all times. 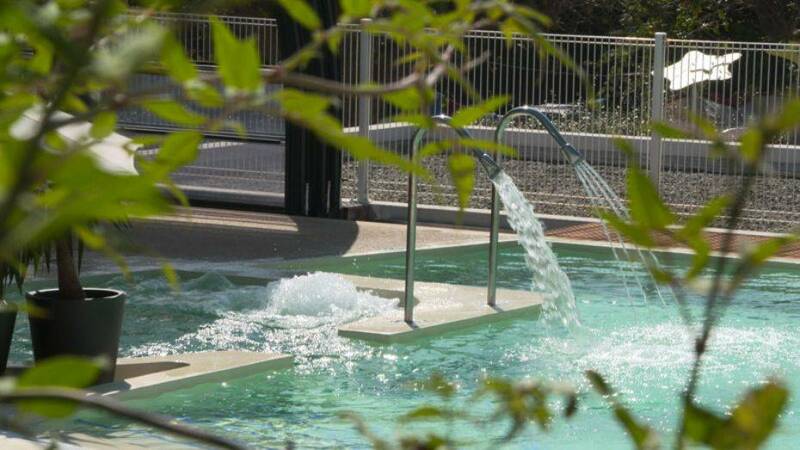 Access to the pool is forbidden to children under 12 unaccompanied by an adult. 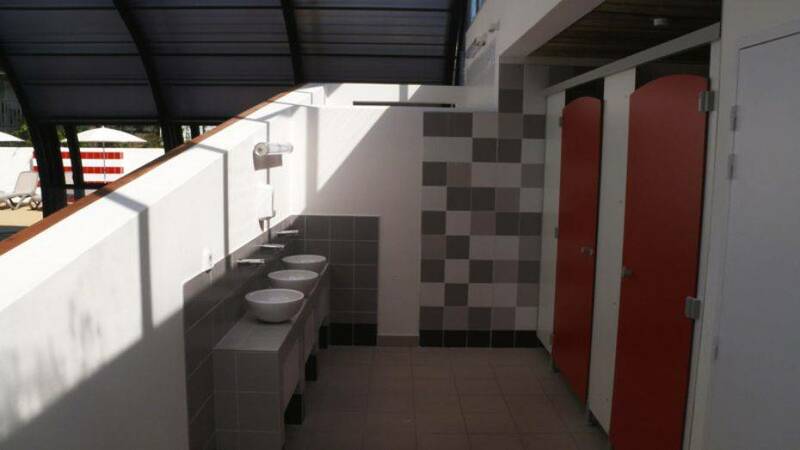 Lockers, toilets, wash basins and showers are available for your use. 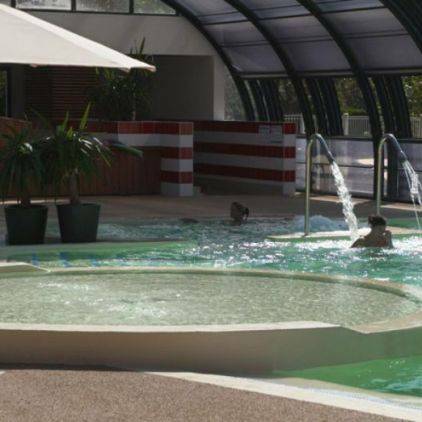 From 01/04 to 30/06 and from 01/09 to 29/09: every day from 10 a.m. to 7 p.m.
From 01/07 to 31/08: every day: water aerobics lesson from 10 to 11 a.m. then free access to the pool from 11 a.m. to 7 p.m.